Compatible with Amazon Alexa Echo, you can now control your smart bulb with voice. And remote control feature allows you control the lights from anywhere if you have forgotten to switch your lights off before you left your home or you can switch them on if you are working late. 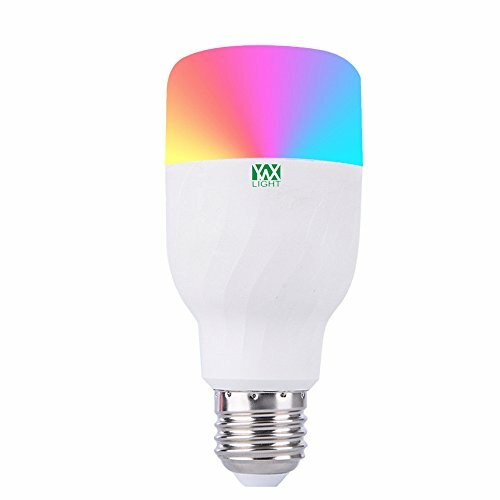 Wifi smart light bulbs with 16 million colors and adjustable brightness provide beautiful user-created scene lighting to decorate your life. Sleeping in the dim yellow light, woke up in bright white light, dine under the candlelight, and party with the theme of rock party. Less power than a standard light bulb, working 30,000 hours like a regular 60W bulb. A good choice for home products. Download the free application Smart Life from your App Store to your mobile device and follow the user manual to set the smart light bulb for the app. If you have any questions about this product by Pavlit, contact us by completing and submitting the form below. If you are looking for a specif part number, please include it with your message.